This stainless-steel hemostat, with a longer shaft than other hemostats, is useful in both the operating room and the groomer's salon. 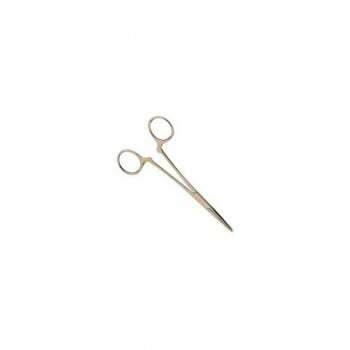 Finest quality stainless-steel instruments for the operating room and hair pulling. Straight Crile Hemostat has a locking ratchet and a longer shaft than other style hemostats. Features a locking ratchet and a serrated nose for better gripping. Measures 6 1/4"L with a 5/8"L x 3/32"W nose.